Are you fed up with watching cute cats and FailArmy? Probably not. Regardless, it’s time to broaden your horizons just a little. There’s a whole world of interesting content waiting to challenge your view of the world. You just need to know where to look. 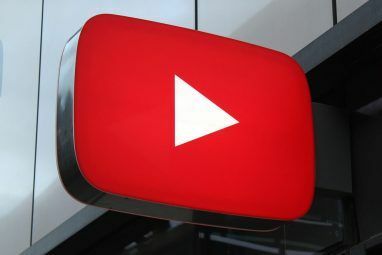 If you’ve been looking for something a bit more intellectually stimulating than lifestyle vloggers The YouTube Starter Kit: 20 YouTubers Worth Watching The YouTube Starter Kit: 20 YouTubers Worth Watching There's a treasure trove of original content on YouTube. However, it's difficult to know where to begin. Let us help you with our list of 20 YouTubers that form the perfect YouTube starter kit. Read More , MakeUseOf is here to help. Here are 20 of YouTube’s most thought-provoking videos. 1. Is Binge Watching Bad for You? Let’s start the journey with a little introspection. As streaming services now bulk-release new content, the idea of binge-watching shows Netflix's "Binge Scale" Tells You Which Shows Are Most Gripping Netflix's "Binge Scale" Tells You Which Shows Are Most Gripping Want to know which shows on Netflix are the most gripping and open to binge-watching? The new Binge Scale tells you. Read More is more popular than ever. But is binge-watching bad for you? I’m not going to tell you. You’ll have to watch this video to find out. 2. Can Video Games Make You Smarter? In a video that will be music to the ears of teenagers everywhere while simultaneously bringing thousands of parents to the verge of tears, AsapSCIENCE determines: yes, video games can indeed make you smarter. 3. Is Subliminal Messaging Real? In this BBC Earth Lab video, researchers dive into the theory of subliminal messaging. I won’t spoil the ending for you, but let’s just say that if Mark Zuckerberg is looking for the next WhatsApp replacement 5 Reasons Why You Should Ditch WhatsApp for Viber 5 Reasons Why You Should Ditch WhatsApp for Viber WhatsApp is the biggest instant messaging app out there, but is it the best? Hit the link to find out why Viber might just be a better choice. Read More , he’s more than welcome to buy my brain for a few billion dollars. 4. Will Robots Take Everyone’s Job? The idea that we are on the verge of an AI revolution has been becoming more mainstream recently. A Citibank report in 2016 said 47 percent of U.S. jobs are at risk of automation. Is the report correct? This video investigates. As a bonus, it’s narrated by Bill Nye the Science Guy. What more do you want? I know how to procrastinate 15 Hilariously Random Websites to Help You Procrastinate 15 Hilariously Random Websites to Help You Procrastinate The Internet is full of weird stuff. Kill some time with these websites that'll make you wonder why they were ever created. Read More . It’s easy. Open your browser, type facebook.com in the search box, and disappear down the rabbit hole. If you’re looking for some slightly more nuanced advice about time-wasting, check out this video from BrainCraft. What is the greatest mystery of the universe? Apparently, it’s not why fidget spinners are so popular or why it took Leonardo DiCaprio so long to win an Oscar. Instead, it’s dark matter that’s currently confounding the world’s greatest minds. Ridddle spells it all out in this dramatic 10-minute video. 7. Who Owns the Moon? Sadly, if you’ve ever bought one of those quaint moon real estate certificates, it’s utterly worthless. In this video, Michael from Vsauce takes a look at who owns the giant lump of cheese orbiting Planet Earth. Spoiler: it’s not you. These days, most people know that computers use binary numbers — a system of ones and zeros — to function. But have you ever stopped to wonder why? Computerphile breaks it all down in this easy-to-digest eight-minute video. CrashCourse is one of the most well-known YouTube channels. Operated by brothers Hank and John Green, it has a wonderful way of making complicated subject matters both informative and entertaining. They’ve recently started a new mini-series about computer science. One the most enjoyable episodes so far has been this look at the world’s first programming languages 6 Easiest Programming Languages to Learn for Beginners 6 Easiest Programming Languages to Learn for Beginners Learning to program is about finding the right language just as much as it's about the edification process. Here are the top six easiest programming languages for beginners. Read More . The fact this video is on a channel called Gross Science should give you an idea of what to expect. But the subject matter is also fascinating. In this video, we discover how to make a DIY microscope using nothing more than a smartphone, a poster tack, and a laser pointer. 11. Why Does February Only Have 28 Days? This video takes another fact that everyone knows, but nobody knows the reason for and investigates in detail. If you do know why February only has 28 days, keep scrolling. If you don’t, hit play. Now. Are you an addict? You don’t have to be hooked on something that society frowns upon to have an addiction. You can be addicted to Facebook, video games, and just about anything else. This video from Kurzgesagt explains some of the underlying science. 13. Wait For It… The Mongols! Let’s go back to Crash Course. Anyone who’s watched John’s excellent History series knows the Mongols are both a reoccurring theme and a running joke. This is the episode where you get to see what all the fuss is about. Talking about ellipses, angles, and algebra may not sound like an entertaining way to spend four minutes of your life, but this Numberphile video doesn’t feel like hard work. Using a pool table to demonstrate, Alex Bellos introduces you to some amazing mathematical equations. It’s definitely worth a watch. Ever wondered why you look hotter than Brad Pitt in some photos, but like a washed-out alien in others? Sorry, we can’t help there. 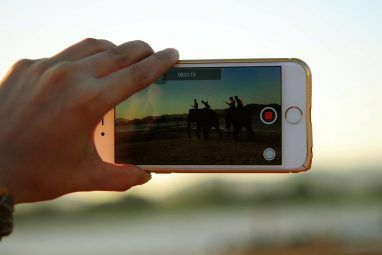 However, if you’re interested in the underlying processes of how an image goes from your phone’s camera to its screen, this is a fun way to spend five minutes. Stuck in a job your hate, commuting for hours, never seeing the family. Sound familiar? Millions of people spend every day of their lives doing something they utterly despise. It’s not too late to do something about it. This video shows you how. If you need more inspiration, check out an article by our own Ben Stegner. He explains how he left his career to become a full-time writer How to Quit Your Job and Finally Pursue Your Passion How to Quit Your Job and Finally Pursue Your Passion Leaving your current job to do something you love is scary, but I did just that last month. Here's my story, and some considerations if you're thinking about doing the same. Read More . We’ve all heard the old trope that the surface of the Earth is smoother and rounder than a snooker ball if scaled to the equivalent size. But what’s the roundest object on the planet? Veritasium, which has been a source of entertaining-but-informative videos for years, has the answer. 18. America: Country or Continent? Is America a country? Of course it is! Is Mexico part of America? Of course it is! Umm, what? Who’s right? If you’re not sure what differentiates America the country from America the continent, check out this fun and fast-paced footage from WonderWhy. Pending the discovery of teleportation — or at least the widespread adoption of public transport — we’re going to keep having to deal with traffic Waze vs. Google Maps: Which App Will Navigate Home Faster Waze vs. Google Maps: Which App Will Navigate Home Faster Waze and Google Maps are both solid navigation apps, but which one is the best? Read More on our roads. If only the world’s estimated two billion drivers would sit down and watch this video from CGP Grey. We would all be a lot better off. 20. 10 Things You Might Not Know Google Assistant Can Do! What’s wrong? You didn’t think I was going to list 20 YouTube videos without referencing the MakeUseOf YouTube channel, did you? In this video, we show you 10 amazing Google Assistant tricks Supercharge Google Assistant With These 7 Amazing IFTTT Applets Supercharge Google Assistant With These 7 Amazing IFTTT Applets Google Assistant is great... but it can't do everything. Change that by using IFTTT to expand Google Assistant's functionality. Read More . 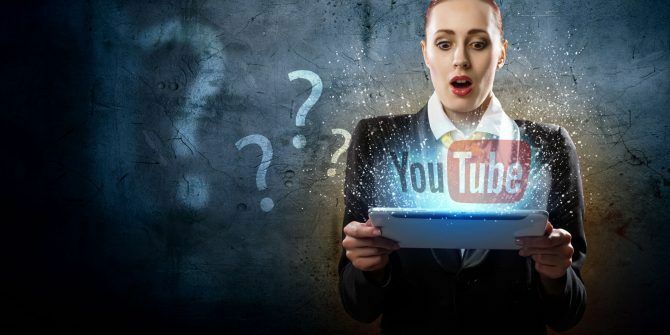 In this article we have listed 20 of our favorite entertaining and thought-provoking videos, but with 300 hours of new content being uploaded to YouTube every minute, it’s entirely possible we have overlooked some good ones. 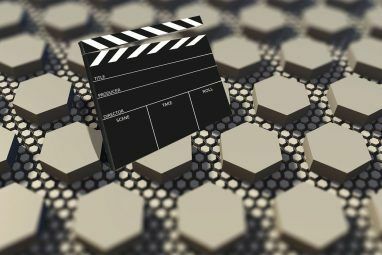 Which thought-provoking videos would you recommend to your fellow MakeUseOf readers? Please leave all of your suggestions and recommendations in the comments below! Perhaps one day we’ll revisit this topic and include some of your finds.